Sometimes you just need a sweet story without any snark or humorous abrasiveness. You just want something comforting, even if it makes you think deeper thoughts. Peter McCarty’s books are always exactly what you desire. The just-exactly-right illustrations are adorable, but with a difference—they’re just slightly off-kilter, enough to make you pay attention and discover wonderful details. Henry (a cat) is in love with Chloe (a rabbit), “the loveliest girl in his class”. After a game of tag at recess, he gives her his blueberry muffin at snack time. The story’s plot is little more than that, but its variably textured illustrations add richness. They are a perfect visual representation of childhood’s single-mindedness and intensity of emotion, when the person you are talking to is the ONLY person that exists in the world at that moment, and no blueberry muffins have ever been more blue. 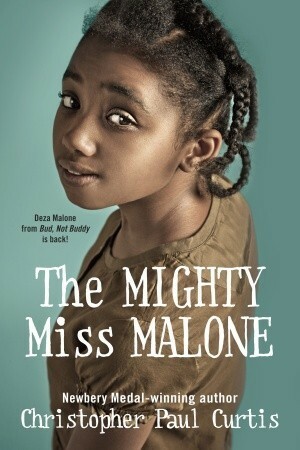 As far as Deza knows, hers is the only family in Gary, Indiana with their own family motto. The Malone’s like to say that “We are a family on a journey to a place called Wonderful.” The nice thing is, they really are. Their journey though, is rather circuitous with more than their share pitfalls and dead ends. Unfortunately, the Malone’s live in Depression era Gary, Indiana. The area’s been hit hard by the “economic downturn,” especially, if your skin is brown. Wonderful almost always seems to be just around the bend, out of reach. However, readers will be left with the feeling that for Deza, her mother, father and her brother, Jimmie, Wonderful is not so much a destination as it is the feeling whenever they are all together. Wonderful is a state of being, not a state. Christopher Paul Curtis has brought this wonderful family to life in a way that I can’t remember him doing since The Watsons Go To Birmingham. They are characters who care deeply about each other in with and in spite of their frailties which make them all the more appealing to readers. From father’s desperate job hunting and mother’s quiet strength in the face of her ignorant, racist employer to Jimmie’s fierce need to be seen as a teenager rather than a ”little kid” and Deza’s passion to be learning while still being a help to her family, these are people we care about and cheer for. The strong sense of family is missing in so many books these days. Curtis has show, admirably, that even when the prospect looks bleak, real families can and do exist in literature just as they do in life. Kudos, Mr. Curtis. Mother Goose nursery rhymes are little treasures. Not only do they have rhyme and rhythm, which make them easy to remember and delight the ears of young children, but they are such interesting and innovative little stories – by turns comical, sweet, doleful (rain rain go away), and downright mysterious. They also hold much history in their words (click here to find out what pease porridge actually is). It is the juxtaposition of these traditional rhymes and Nina Crews’ photographs of contemporary children which makes The Neighborhood Mother Goose such a unique and delightful book. Inspired by her vibrant and diverse neighborhood, Crews illustrates a selection of rhymes with photographic collages featuring children in a city setting (most of the photographs were taken in or around Park Slope in Brooklyn). These lively illustrations are both realistic and fantastical – photographic images are manipulated to bring the scenes to life, such as in the picture of a tiny Jack jumping over a candle-topped cupcake at a birthday party. Crews succeeds in capturing both the ordinary and fantastic in everyday life – which is what these nursery rhymes did so well to begin with. The Neighborhood Mother Goose is highly recommended – a wonderful book for even the youngest children. Summer is coming, and it’s time to start planting the garden. 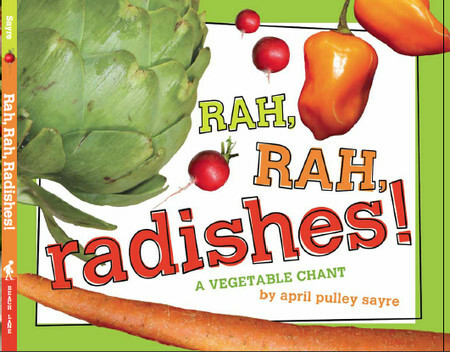 This fun picture book is a great introduction to some of the tasty vegetables you may plant or see at the farmers’ market. Kids will enjoy chanting along and may even look forward to eating their vegetables the next time they are on their plate. Pair it with Burger Boy by Durant, Mabel O’Leary Put Peas in Her Ear-y by Delaney or Night of the Veggie Monster by McClements for a night of veggie fun. Fancy Nancy is growing up and so are her readers. Kids who are growing out of the Fancy Nancy picture books and leveled readers will be thrilled to see this new series of chapter books featuring all of the characters from the previous books by Jane O’Connor. O’Connor’s sweet, funny text is paired well with Robin Preiss-Glasser’s illustrations once again in this story. Nancy emulates Nancy Drew since she received a special first edition copy of a Nancy Drew book from Mrs. De Vine, her fabulous neighbor. Nancy and her best friend Bree decide to become detectives just like Nancy Drew. They are dressed for the job with Nancy in a pink trenchcoat and Bree in purple complete with rhinestone-studded magnifying glasses. The only problem is, there are not any cases in Nancy’s quiet town. That is until her teacher’s prize marble goes missing on Family Day. Nancy is on the case immediately! This chapter book is good, wholesome fun for 1st and 2nd graders who are beginning to read chapter books independently. As in the picture books, Nancy likes to use new vocabulary words, and kids will have fun learning the meaning of words like “motive” and phrases like “in the dark of night.” This story also incorporates a secret code readers can try to crack and a lesson on the lost art of playing marbles. When you were a child, did you ever wonder what happened to all of the storybook characters when you went to sleep at night? 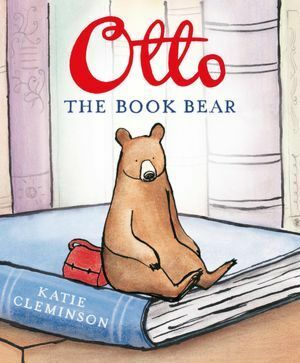 Well, in this story, Otto is a storybook bear who lives in a book on a shelf in a house, and when no one is looking he comes to life and explores! He reads his favorite stories, he practices his writing, but he is happiest of all when children read his book. One day, something terrible happens – the people at his house move and they leave him behind! Otto definitely does not like being all alone and decides to set off on his own on a new adventure. He quickly finds that he feels very small and unwelcomed in the big bad world, until he finds a library. There he meets lots of new storybook friends and best of all, lots of children read his book, and he lives very happily ever after. What a sweet and gentle story that reminds us of the beauty of a child’s imagination!